I'm looking for English Translations of Ramanuja's and Madhvacharya's Gita commentaries in physical/printed book format. Are there any English translation of Ramanuja's Gita Bhasya, other than the one by Swami Adidevananda? I would prefer a translation of a monk/scholar who is connected to the Sri Sampradayan order, since i think they're the ones who'll be able to describe Ramanuja's Gita interpretations in a genuine manner. When it comes to Gita bhasya of Madhvacharya, I can't find any in English that's available for purchase in actual book format. The Gitabhashya of Ramamuja, translated by M. R. Sampath kumaran, published by Anantacharya Indological Research Institute 1988. 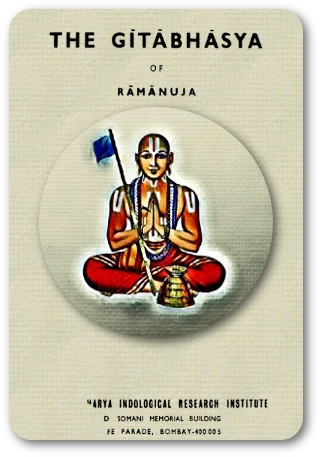 For Ramanuja’s Gita Bhasya, I prefer the translation by Svāmī Ādidevānanda which you can read at archive.org. You can buy the physical book, just search on google using the ISBN: 9788178235189. Not the answer you're looking for? Browse other questions tagged bhagavad-gita translation-request ramanujacharya book-recommendation madhvacharya . Is there any English versions available for Dara Shikoh's 50 Upanishadic translations?